On the rare occasion that I had nothing to do on a college weekend (way back when), I used to take the bus to the next town over to indulge in pizza and garlic knots as a treat to myself. I never had garlic knots before this stage in my life, and the combination of buttery garlic with Italian spices melted over these little dough knots was enlightening. 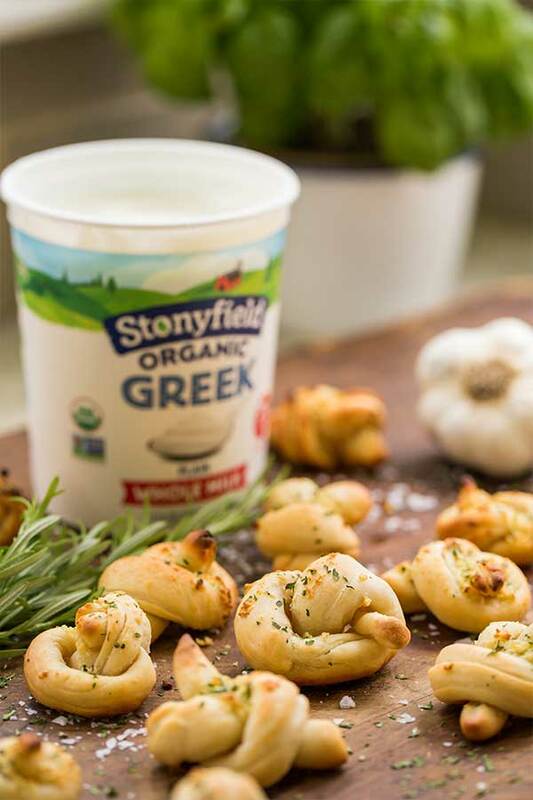 I left garlic knots in college, but recently they’ve come back into my life when I encountered Stonyfield’s two-ingredient dough! This dough not only makes garlic knots (thank you magic dough gods!) but also makes a crazy amount of other recipes that normally take a long time to make. 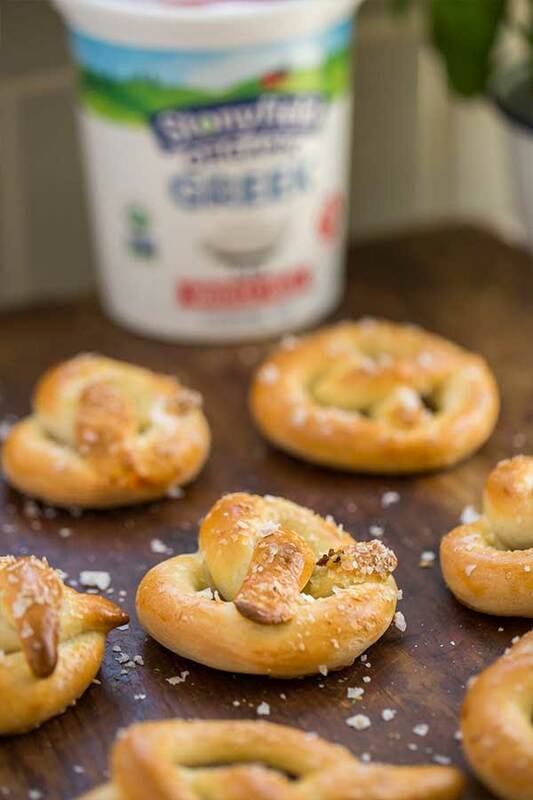 With just self-rising flour and some Stonyfield Whole Milk Greek Yogurt, you can have this dough ready in under 10 minutes to make things like, Baked Sea Salt Pretzels, Pizza, Bagels, Cheesy Breadsticks and more! This yogurt dough not only cuts out a lot of calories that may have left you feeling over indulged, it also cuts prep time in HALF! So you won’t feel guilty about grabbing another slice, or another knot to dunk in marinara sauce (yum). If you are skeptical about this two ingredient recipe – try it for yourself, you won’t regret it! Bring these out for snack time with friends or to a party as a surprise savory treat and add a side of Spicy Brown Mustard or Honey Mustard to dip them in. It really is…we wouldn’t lie to you. Make any night of the week a pizza night. 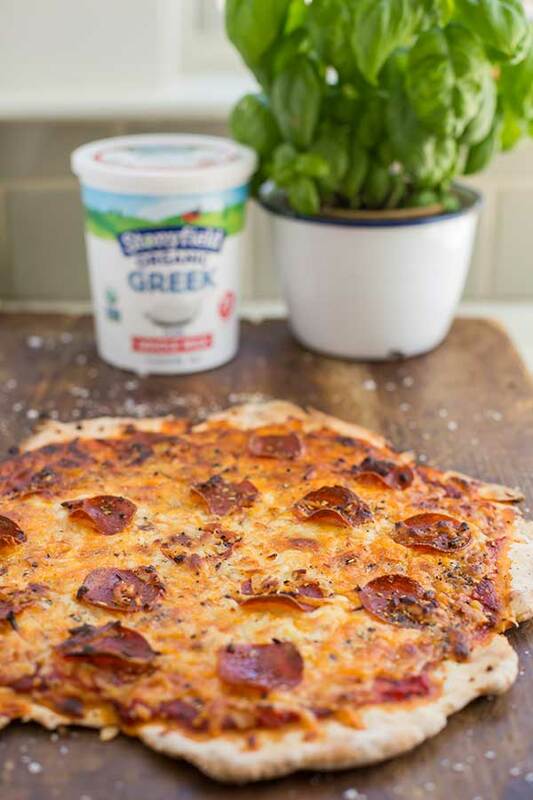 With this yogurt dough you’ll have pizzas done so quick – but beware – the pizza will disappear just as quickly ;). Our team had fun making these breadsticks on our test kitchen day. Roll the dough around in cheese and spices, twist them up and bake for an appetizer or even as a side to your salad at lunch. Eat them on their own or dip them in some marinara sauce. 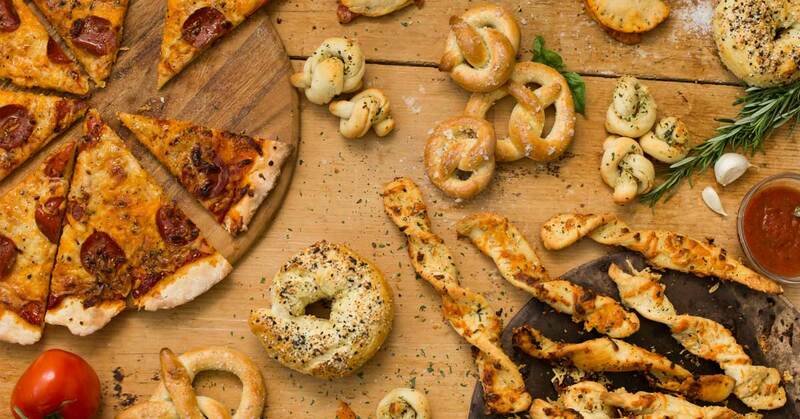 Who can say no to warm garlicky knots? Add these to your next pasta or pizza night and serve with a chunky marinara sauce for extra deliciousness. 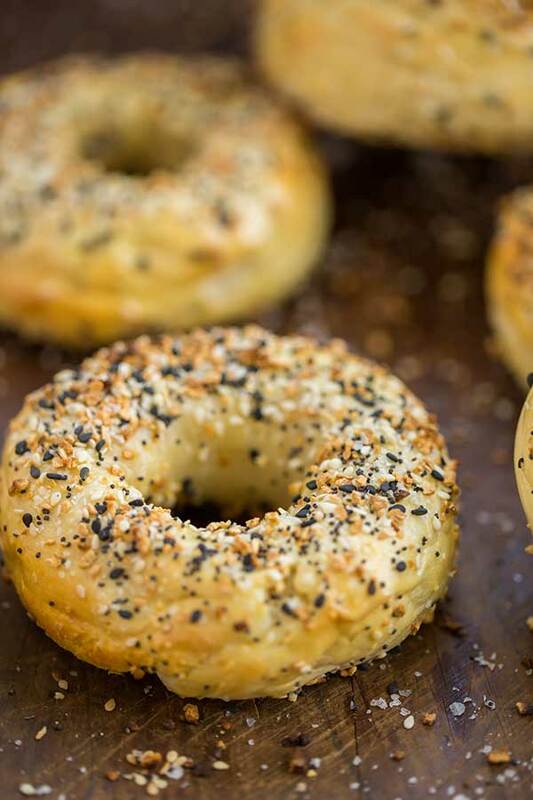 Making these bagels on a lazy Sunday = bagels for the week! You can make bagel sandwiches or just enjoy with your favorite schmear in the morning! Whatever you use them for, they can be made in no time and rise & crisp perfectly in the oven. 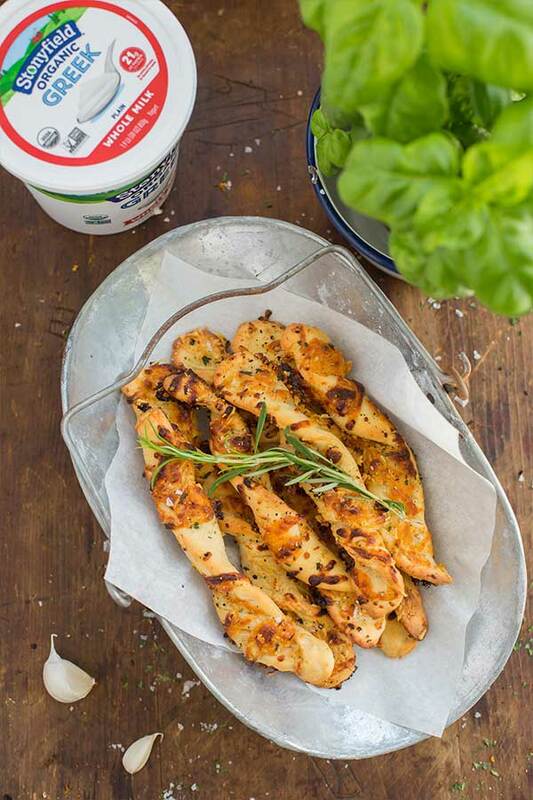 View more delicious Stonyfield recipes here!